Here is some of the thing that you can try to resolve the above issue. b) On SQL Database Service, make sure it is started as well. add name="MicrosoftDDTKConnectionString" connectionString="Data source=ddcscvmm,1433; Integrated Security=true; Initial Catalog=DITSC"
add name="MicrosoftDDTKConnectionString" connectionString="Data source=ddcscvmm; Integrated Security=true; Initial Catalog=DITSC"
d) If SQL Server is using default port number (1433), then make sure that during the installation of VMM SSP 2 you are using domain admin account to configure on Application Pool Identity. 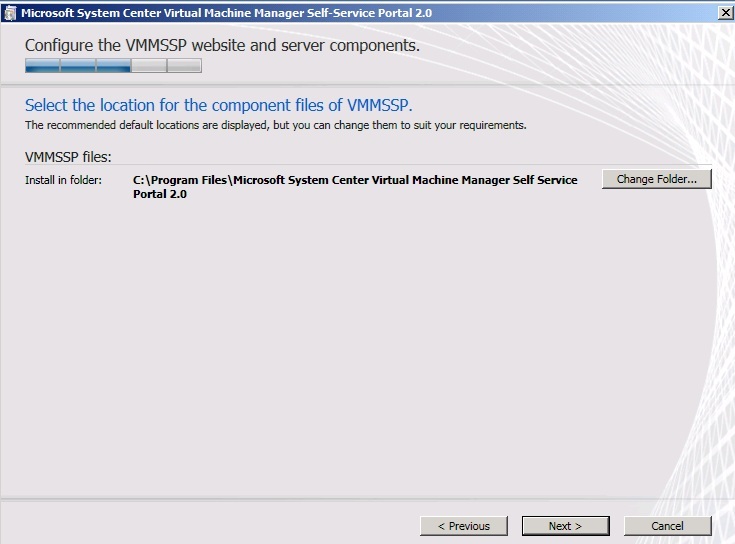 If not, to solve this issue, navigate to IIS Manager > Application Pool > VMMSSPAppPool > Right Click and Select Advanced Settings. 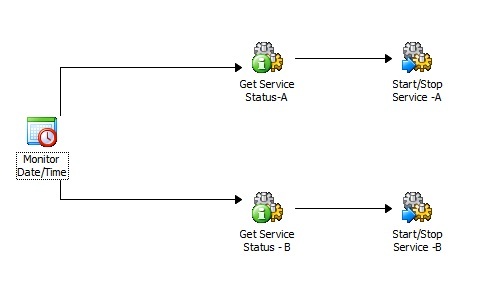 In Process Model - Identity, change to domain\administrator account. Once complete, right click the application pool and Recycle. 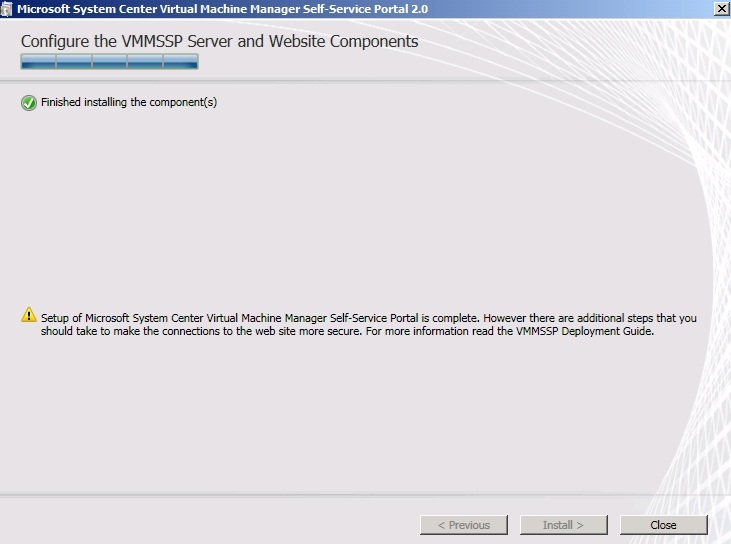 Finally, try to browse the VMM SSP web site. 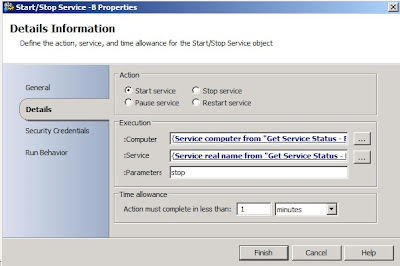 I have created a simple opalis policy to automatically start services which has in stop state. In this example, i have created a policy to monitor multiple server on two services: Print Spooler and Netlogon Services. Monitor every 5 second on multiple server and services. Firstly, check the status of the services. 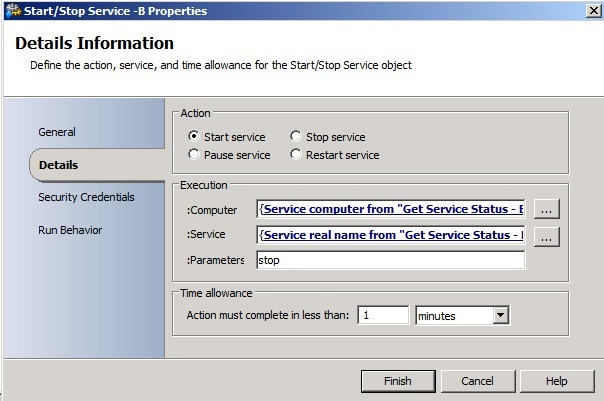 If the services is stop, then initiate start the service. 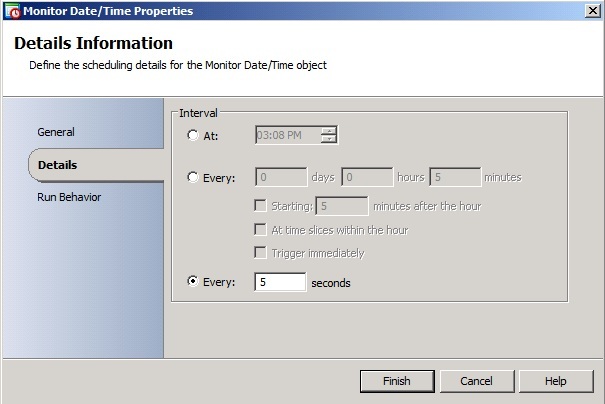 On Monitor Date/Time Object, i have specify to monitor every 5 second. You will notice that Computer is listed as [Test VM]. I have created a computer group and put multiple computer together. Too bad, no grouping of services that i can create. That's the reason why you will see i have created 2 flow. 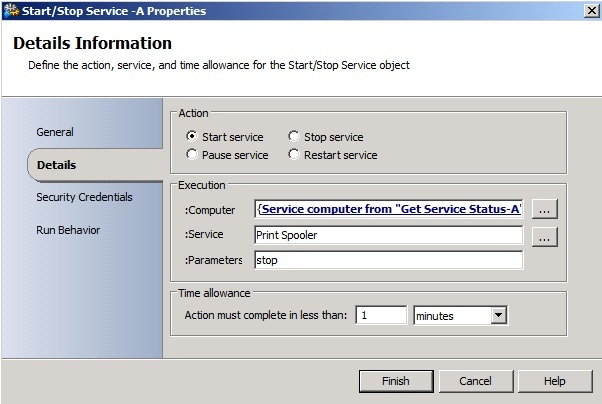 I've specify the object to start the Print Spooler service if the state is stop. I've specify the object to start the Netlogon service if the state is stop. Once you have complete the flow, Execute "Check In" and Click "Start" to start the policy automation. 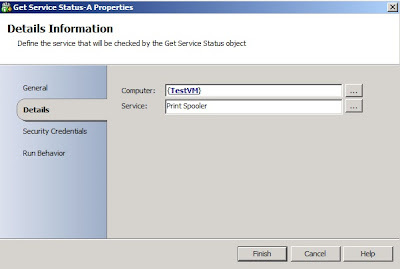 Finally run a test to stop the Print Spooler Services and Netlogon Services on the monitor server. You will see both services will start automatically. 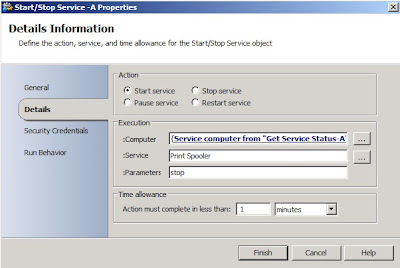 To verify if the service is start by Opalis, you can create another flow at the end to send notification to your email address or Event Viewer. Good news again. Opalis 6.3 has released. 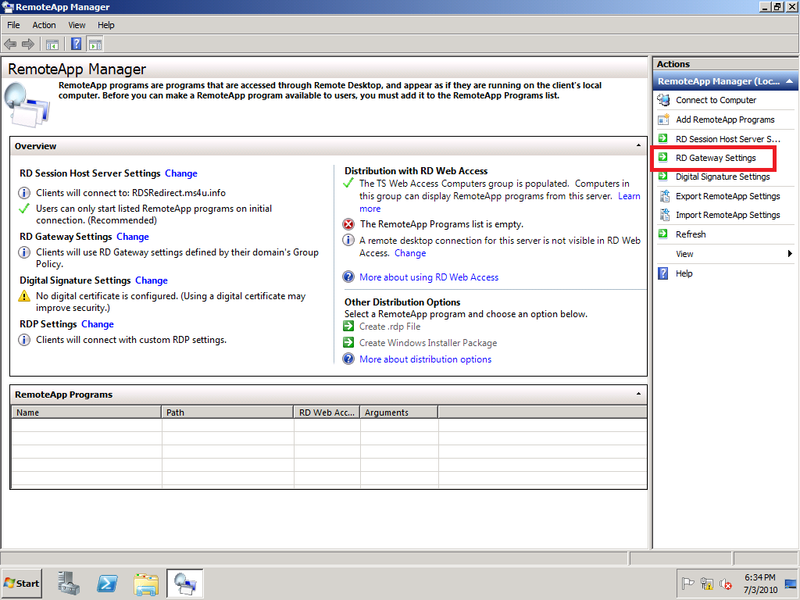 As reported Opalis 6.3 can install into Windows Server 2008 R2. It took me few hours to get it up and running. Trust me it is not an easy job and if you hope that the installation is "Click Next, Next , Next," then you're wrong. To summarize, you need to install Opalis 6.22 first, patch with SP1 before move to 6.3. Next step is play around with Opalis 6.3. Good Luck on your testing. 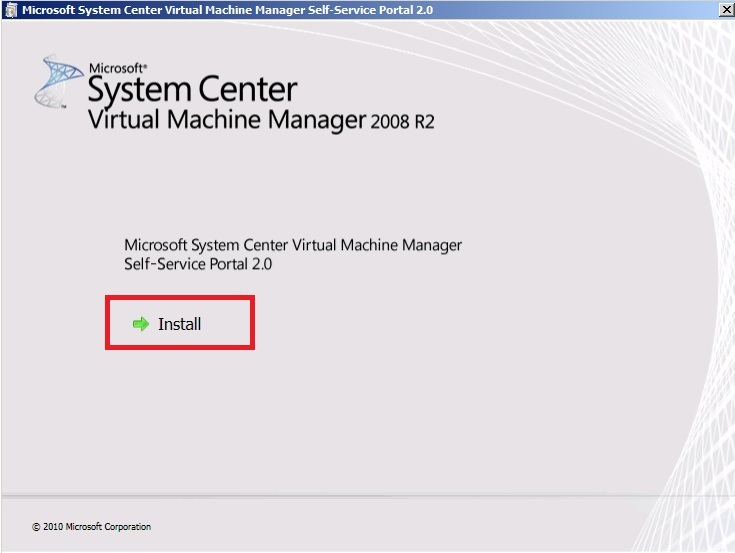 With VMM 2012, you can expect less integration with SCOM. The product has become independence and it is time to be itself.. Create a RED_DWORD value called Memory Reserve. Enter the value in MB. For example: 2048 for 2GB. Finally reboot the physical Hyper V host to take effect. Click on each module to download the starter kit. As i have posted about the release of MAP5.5 in my previous blog (Click here), let have a sneak preview on the latest changes. Sneak Preview 1: New layout. Allow you to select or create new database. You can add description on each database for easy identification. 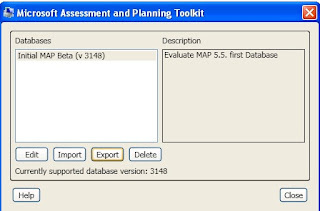 Manage button allow you to import/export the MAP database. 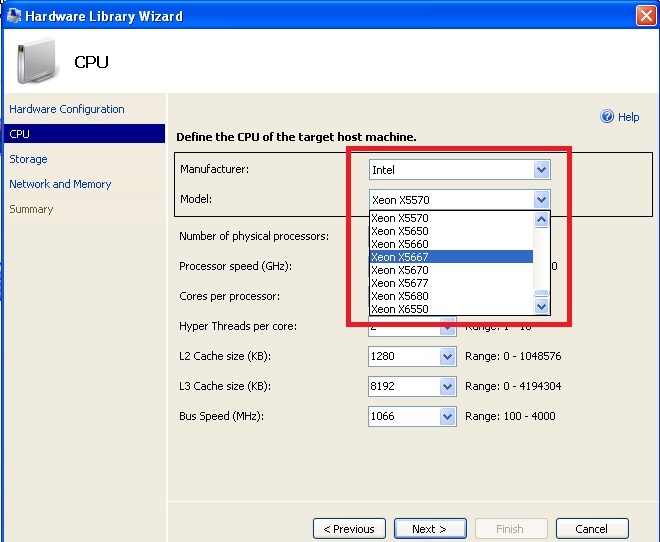 Sneak Preview 4: More list on hardware library. Each hardware come with it own detail of CPU information. This provide more accurate result on server consolidation. 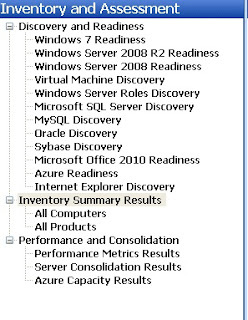 Sneak Preview 5: Customize Server Consolidation Assessment. After perform server consolidation, you can edit /hide server which do not has performance assessment result without rerun server consolidation task. I'm starting to like the latest MAP 5.5 Beta. 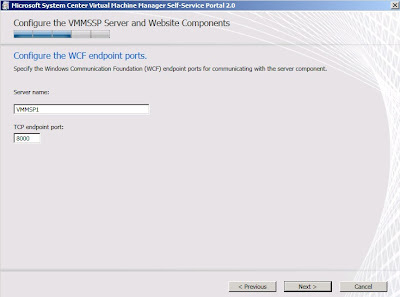 Folk who do SCOM deployment will find this tool come to handy when planning. 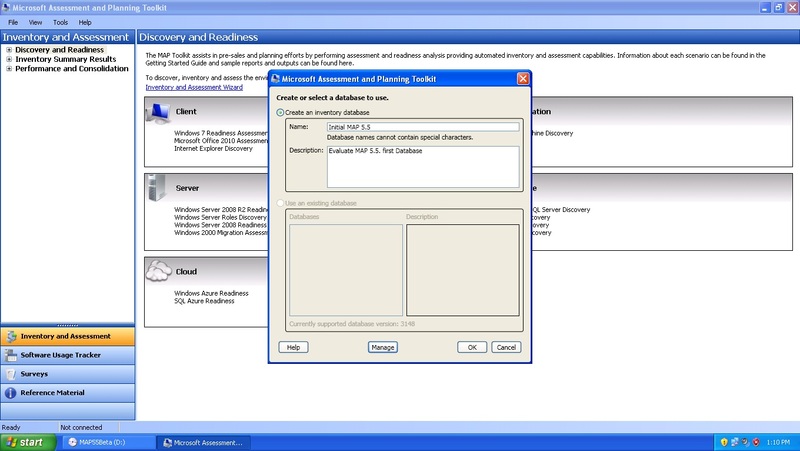 The Operations Manager 2007 R2 Sizing Helper is an interactive document designed to assist you with planning & sizing deployments of Operations Manager 2007 R2. Use this tool with SCOM Design Guide (Click here). 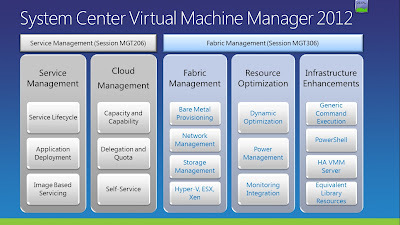 a)Enhanced server consolidation assessments for Hyper-V. 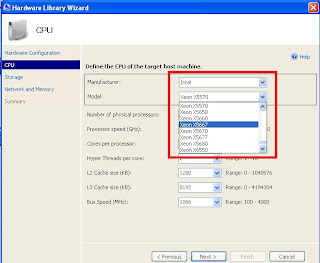 Updated hardware libraries allowing you to select from the latest Intel and AMD processors. 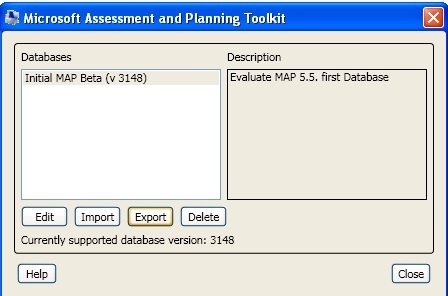 Customized server selection for easy editing of assessment data. Data collection and store every five minutes for more accurate reporting. Better scalability and reliability, requiring less oversight of the data collection process. 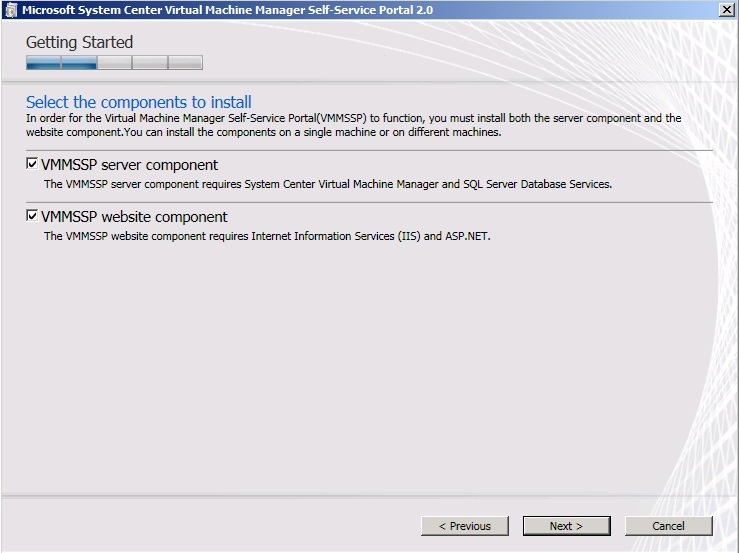 I have posted an overview about VMM SSP 2 (Click here) previously. Compare to RC version, RTM version work much better. As least, i managed to get it up and running. Let get our hand dirty by start the installation. 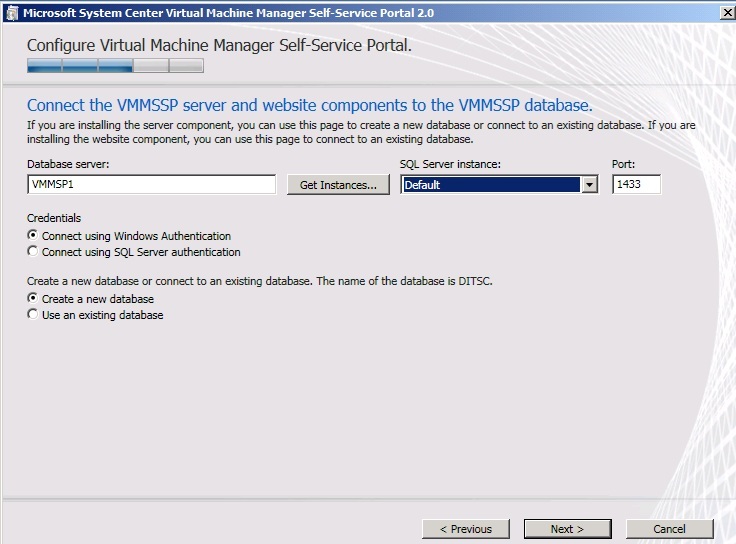 In this post, i'm going to combine three component (VMM SSP website, VMM SSP Database and VMM SSP Server) into a single server deployment. •SQL Server 2008. If you're using SQL Express, please click here to change to SQL Standard Edition. 2. On the license agreement, accept the EULA. 3. On select the component to install, tick both component. 4. The setup will perform pre-requisite check. Make sure all component has install before click Next. 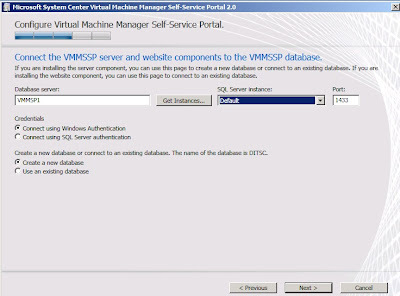 6.On Configure VMM Self Service Portal, enter the location of the SQL Server and settings. 7. 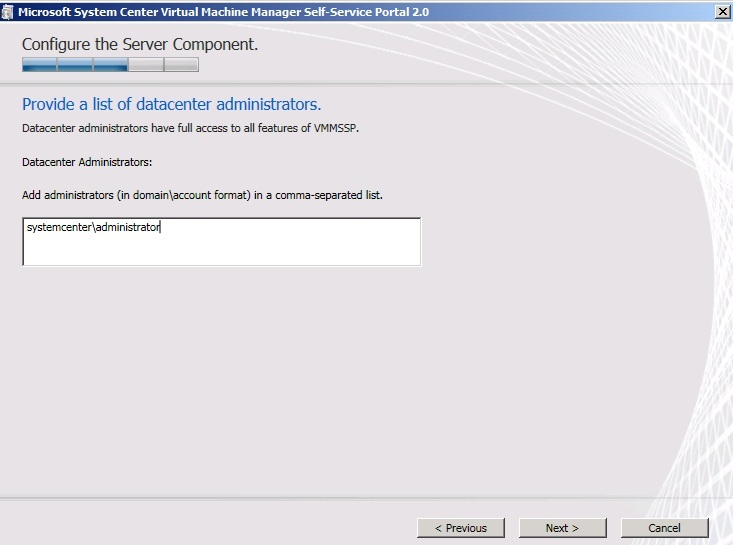 Type the user name, password, and domain of the service account for the VMMSSP server component. Click Test account to make sure that this account functions. When finished, click Next. 8. 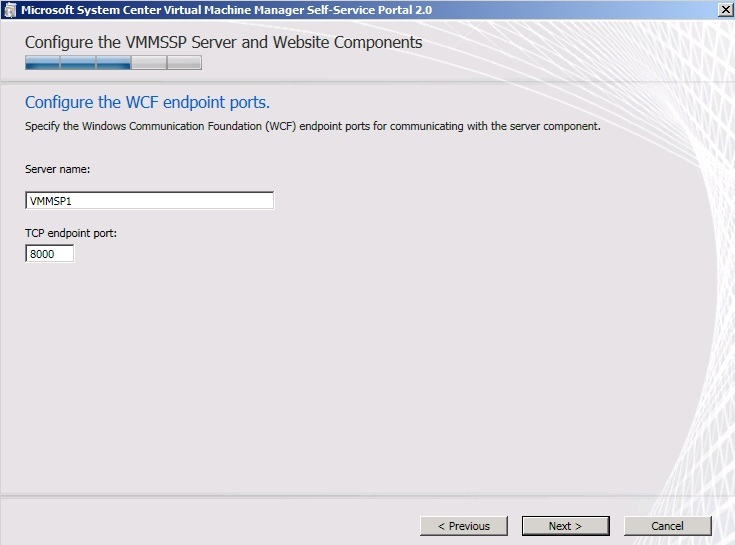 On WCF endpoint path, enter the VMM Server name and leave the default port number. 9.On Provide a list of database administrators, enter the domain adminstrator account which has full rights to become a datacenter administrators. 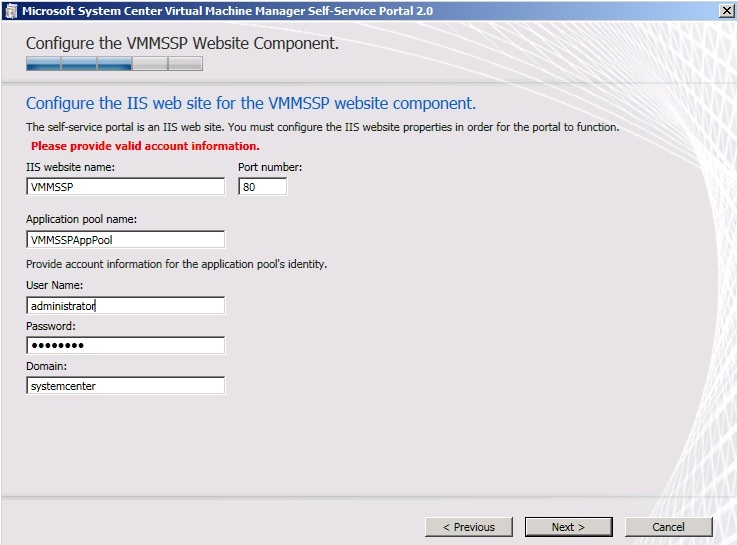 10.On Configure the IIS web site for the VMM SSP component, leave all setting default and put a Application pool domain account. 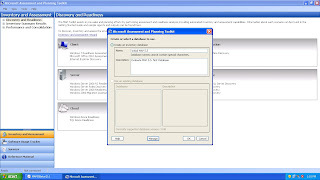 11. Review the setting before click Install. 12.Once the installation has complete, click Close. 13. 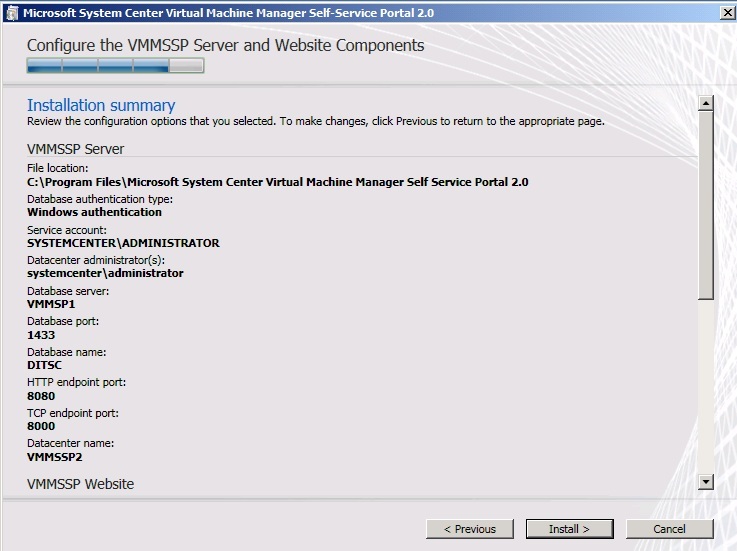 To view the VMM SSP console, use a browser and key in the vmm ssp url. 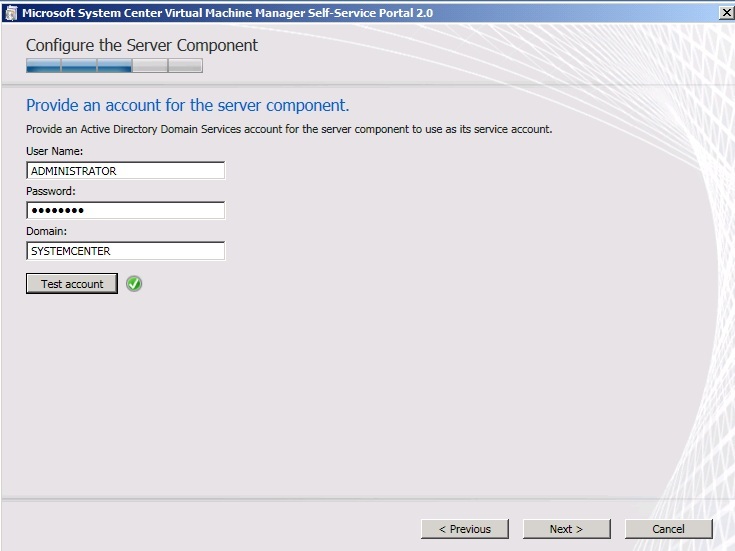 Try login using datacenter administrator and domain user account. Below is the snapshot of datacenter administrator login. 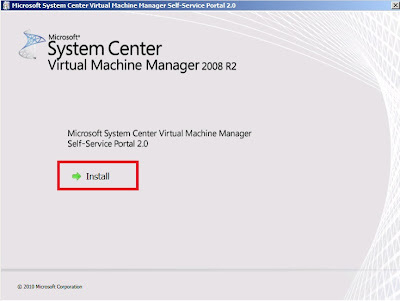 You will need to configure some initial configuration on VMM SSP 2.0 before start the Private Cloud in your organization. Now i'm figuring on how to compile all the snapshot together before post on blog. Just stay tune for more update. You will see below warning when try to export a Dynamic Memory enabled Virtual machine. 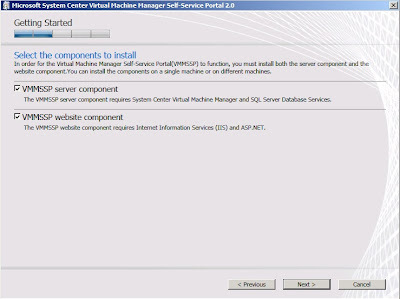 You can export and import this Virtual machine when your physical host is running on R2 with SP1. 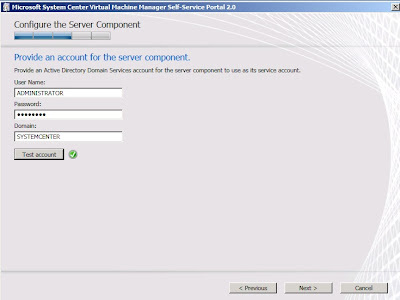 However, if you export and import to Hyper V R2 (without SP1), then the import will fail. 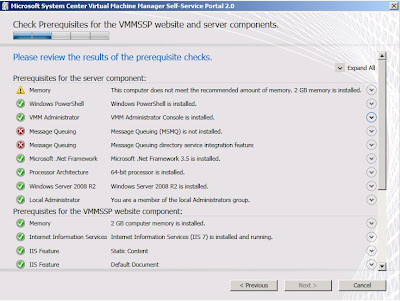 To avoid this issue, change the memory to "Static" if you would like the VM to run on Hyper V R2 (without SP1). Sorry visitor. It has been a while since i posted part 9. Let move to another part. 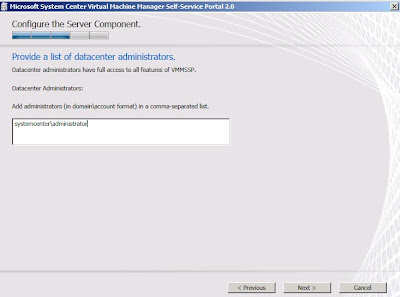 Here is Part 10 of Building VDI using Remote Desktop Services (RDS) which will focus on configuring RDS Gateway. 1. Go to RDSRedirect VM. 3. On the Action pane, click RD gateway Setting. b. Logon method: Always use Password. 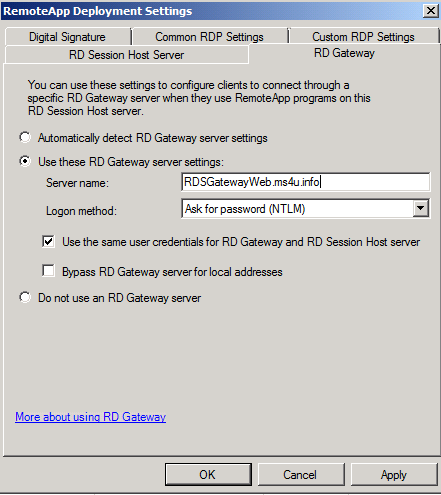 Tick "Use the same user credentials for RD Gateway and RD Session Host server." 2. Click Start, click Run, type mmc and then click OK.
3. On the File menu, click Add/Remove Snap-in. 4. In the Add or Remove Snap-ins dialog box, in the Available snap-ins list, click Certificates, and then click Add. 5. In the Certificates snap-in dialog box, click Computer account, and then click Next. 6. 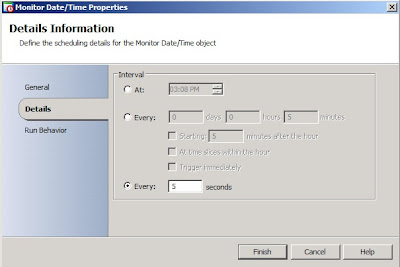 In the Select Computer dialog box, click Local computer: (the computer this console is running on), and then click Finish. 7. In the Add or Remove snap-ins dialog box, click OK.
8. In the Certificates snap-in console, in the console tree, expand Certificates (Local Computer), expand Personal, and then click Certificates. 9. 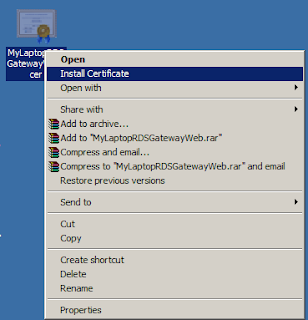 Right-click the certificate RDSGatewayWeb.ms4u.info, point to All Tasks, and then click Export. 10. 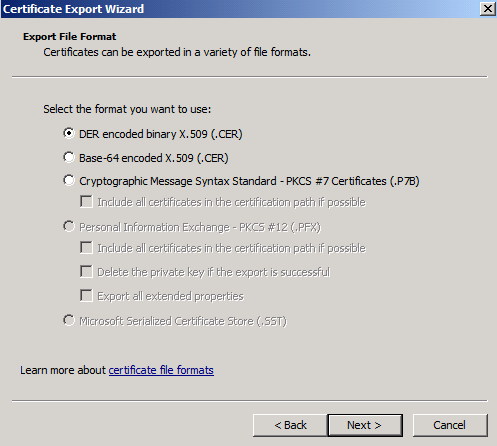 On the Welcome to the Certificate Export Wizard page, click Next. 11. 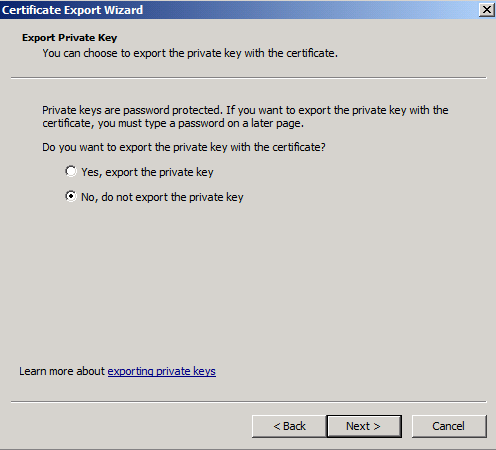 On the Export Private Key page, click No, do not export private key, and then click Next. 12. On the Export File Format page, ensure that DER encoded binary X.509 (.CER) is selected, and then click Next. 13. On the File to Export page, in the File name box, click Browse. 14. 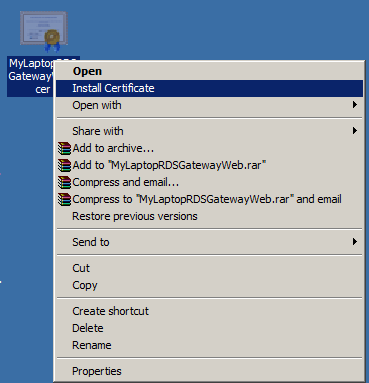 In the Save As dialog box, in the File name box, enter RDSGateway, and then click Save. 15. On the File to Export page, click Next. 16. 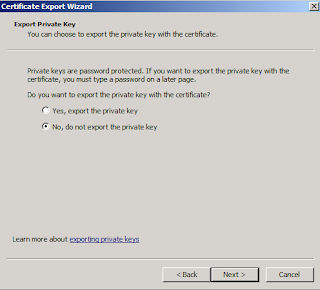 On the Completing the Certificate Export Wizard page, confirm that the correct certificate is specified, that Export Keys is set to No, and that Include all certificates in the certification path is set to No, and then click Finish. 17. 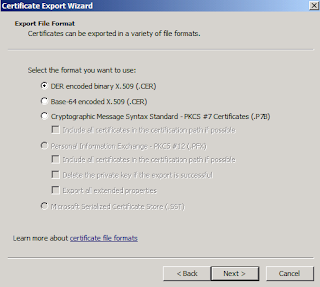 After the certificate export has successfully completed, a message appears confirming that the export was successful. Click OK.
18. Close the Certificates snap-in. 1. Log on to client computer . 2. Right click the RDSGatewayWeb.cer and select Install Certificate. 3. On the Welcome to the Certificate Import Wizard page, click Next. 4. 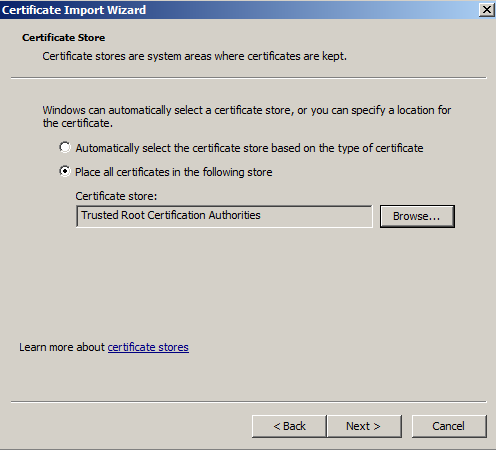 On the Certificate Store page, select Place all certificates in the following store - Trusted Root Certification Authorities, and then click Next. 7. A security warning dialog box appear. 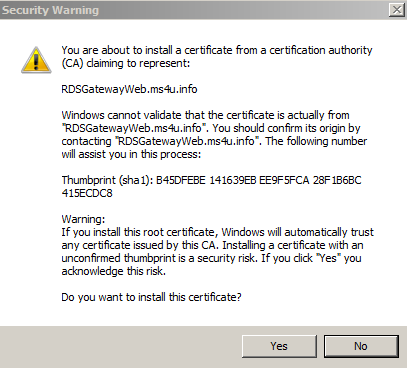 Click Yes to confirm the certificate installation. 8. After the certificate import has successfully completed, a message appears confirming that the import was successful. Click OK.
9. Log off from the client computer. 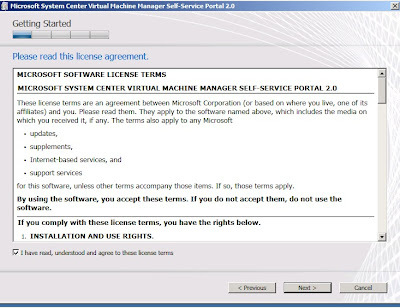 c) You will see "My Desktop" and 'Windows 7 Client Pool". 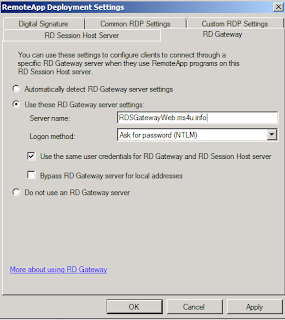 c) You will see "Windows 7 Client Pool"
Task 5: To connect to RDSRedirect with RDC by using RDSGatewayWeb -(applicable for Personal Desktop Pool) - In LAN only can use IP. 1. Click Start, point to All Programs, point to Accessories, and then click Remote Desktop Connection. 2. In the Remote Desktop Connection dialog box, click Options. 3. On the Advanced tab, click Settings. 4. On the RD Gateway Server Settings page, click Use these RD Gateway server settings, enter the following settings, and then click OK.
5. On the General tab, in the Computer box, type RDSRedirect.ms4u.info, and then click Connect. 6. In the Windows Security dialog box, type the password for ms4u\vdiuser1, and then click OK.
That's all folk. Wish you good luck on setting up VDI using RDS Technology. 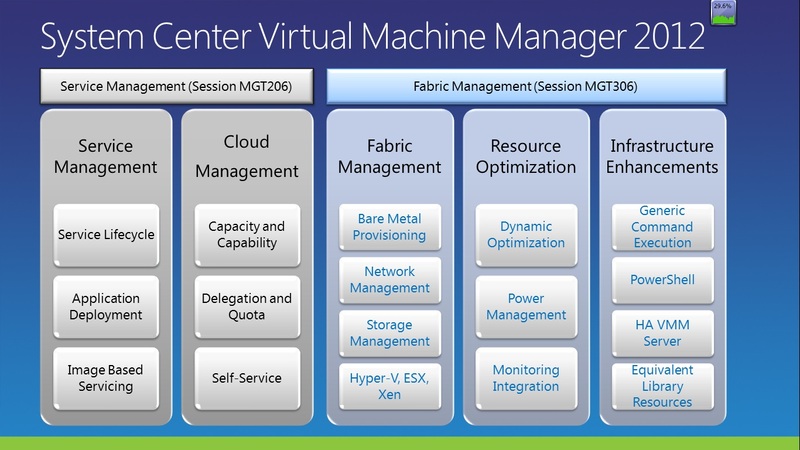 This week at Teched Europe in Berlin, Microsoft has released VMM SSP 2.0 as RTM version. 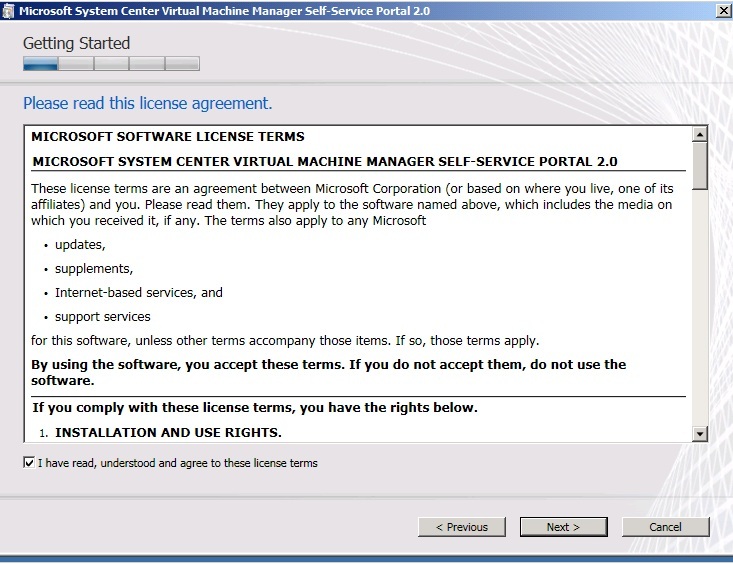 VMMSSP (also referred to as the self-service portal) is a fully supported, partner-extensible solution built on top of Windows Server 2008 R2, Hyper-V, and System Center VMM. You can use it to pool, allocate, and manage resources to offer infrastructure as a service and to deliver the foundation for a private cloud platform inside your datacenter. 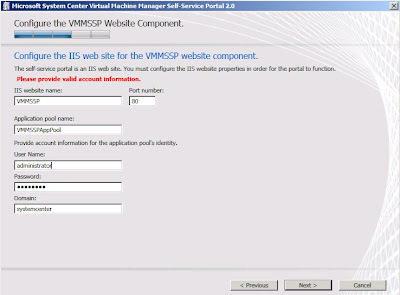 VMMSSP includes a pre-built web-based user interface that has sections for both the datacenter managers and the business unit IT consumers, with role-based access control. 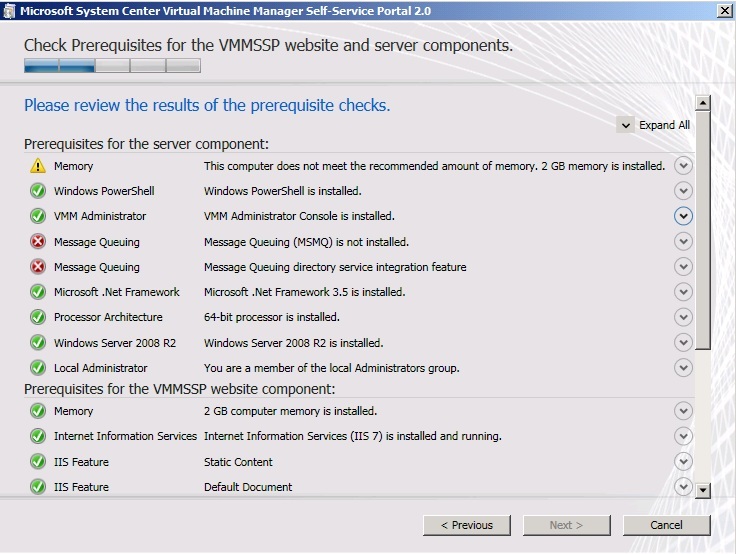 VMMSSP also includes a dynamic provisioning engine. VMMSSP reduces the time needed to provision infrastructures and their components by offering business unit “on-boarding,” infrastructure request and change management. 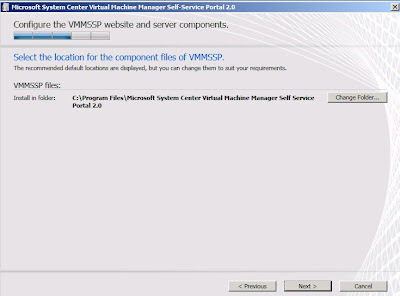 The VMMSSP package also includes detailed guidance on how to implement VMMSSP inside your environment. 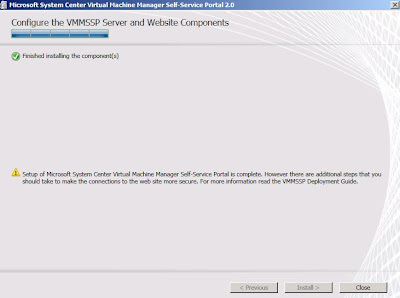 Important: VMMSSP is not an upgrade to the existing VMM 2008 R2 self-service portal. You can choose to deploy and use one or both self-service portals depending on your requirements. 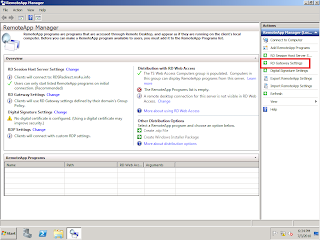 Configuration and allocation of datacenter resources: Store management and configuration information related to compute, network and storage resources as assets in the VMMSSP database. 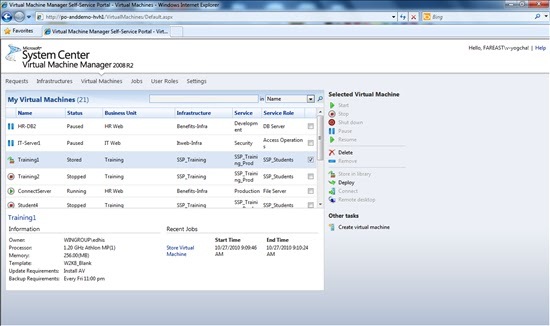 Customization of virtual machine actions: Provide a simple web-based interface to extend the default virtual machine actions; for example, you can add scripts that interact with Storage Area Networks for rapid deployment of virtual machines. Business unit on-boarding: Standardized forms and a simple workflow for registering and approving or rejecting business units to enroll in the portal. Infrastructure request and change management: Standardized forms and human-driven workflow that results in reducing the time needed to provision infrastructures in your environment. Self-Service provisioning: Supports bulk creation of virtual machines on provisioned infrastructure through the web-based interface.Helps business units to manage their virtual machines based on delegated roles. 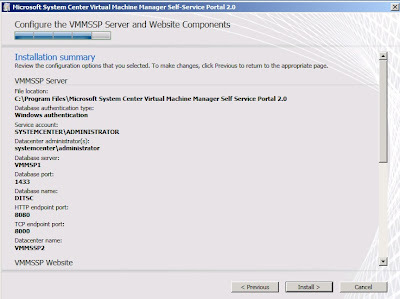 In RTM version, you can get Virtual Machine Manager Self-Service Portal Dashboard, a Windows SharePoint Services–based application that provides a view of multiple sets of portal statistics on a single web page.